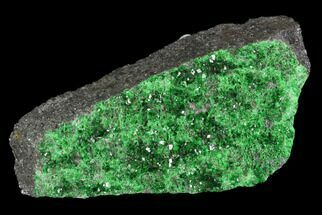 This is a beautiful, 4.55" wide specimen of emerald green, druzy Uvarovite from Russia. 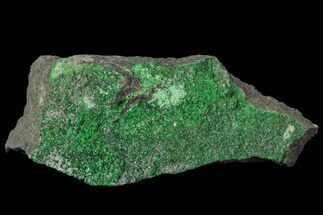 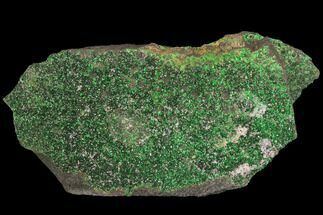 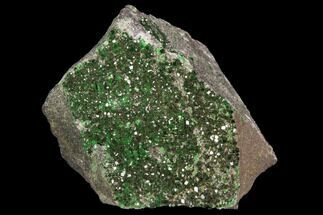 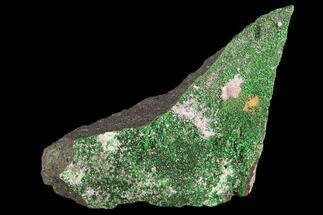 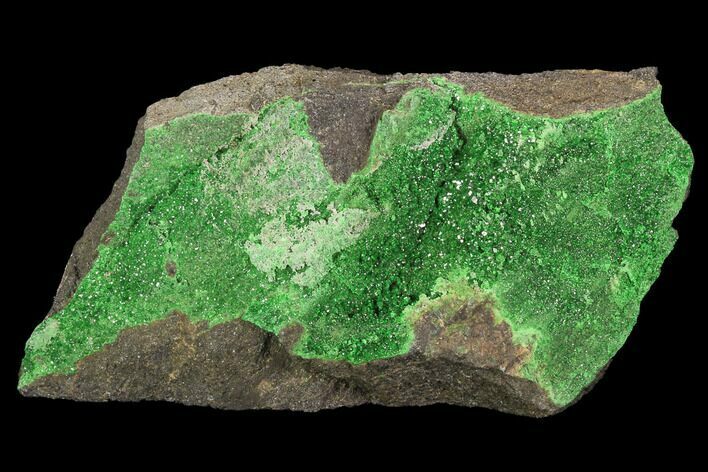 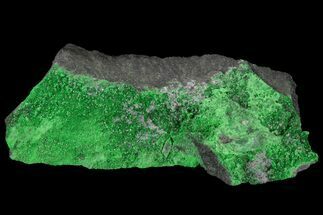 Uvarovite is one of the rarest of the garnet group minerals, and is the only consistently green garnet species, with an emerald-green color. 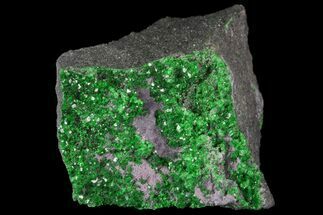 It occurs as well-formed fine-sized crystals. 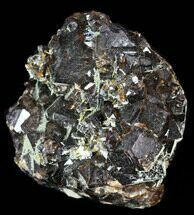 It is found associated with chromium ores in Spain, Russia, and Quebec in Canada. 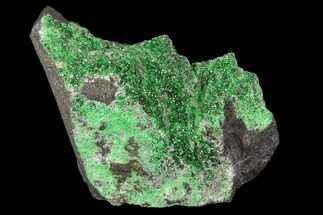 It also occurs in Finland, Norway, and South Africa.